After years of waiting for a Black Widow solo film, Marvel is finally getting the ball rolling—and they just took a huge step forward in the intricate pre-production process. 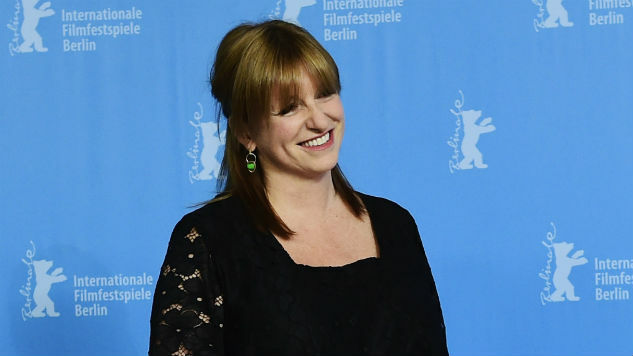 Black Widow has officially found its director in Cate Shortland, an Australian auteur with three female-led features under her belt. According to THR, Shortland was one of 70 directors considered by the movie giant for the role, with fellow finalists including Amma Asante (Belle) and Maggie Betts (Novitiate). Melanie Laurent (who acted in Inglorious Basterds and directed Respire) and Kimberly Pierce (Boys Don’t Cry) were also considered as pre-finalists. Shortland was apparently chosen in part due to backing from Black Widow herself. Scarlett Johansson is a fan of the director, particularly following her acclaimed WWII drama Lore. Shortland’s most recent film is Berlin Syndrome, a horror-thriller starring Teresa Palmer as a woman who is kidnapped after a one-night stand. Shortland’s films have competed at the Cannes, Sydney and Berlin film festivals. This makes Black Widow Marvel’s first solo female-directed venture, with Captain Marvel as the first female-directed venture overall thanks to co-helmers Anna Boden and Ryan Fleck. Black Widow also sports a screenplay by Jac Schaeffer (TiMER). The film’s release date is still TBD.